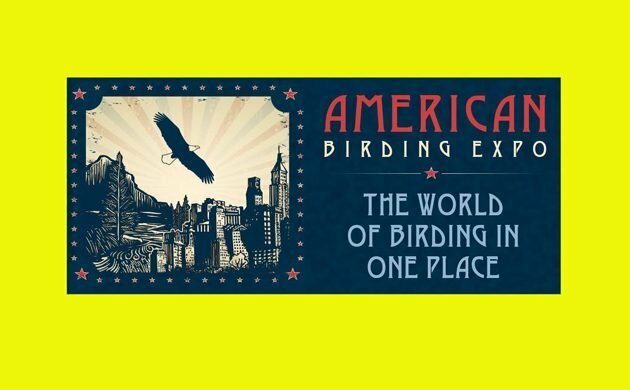 From 29 September through 1 October, the Greater Philadelphia Expo Center in Oaks, Pennsylvania, just outside of Philly, will host the third annual American Birding Expo. Optics companies, tour companies, birding festivals, publishers, and wide array of other exhibitors will be present. There will be workshops, field trips, and some amazing keynote presentations, including Julie Zickefoose and Scott Weidensaul. The idea, as I understand it, is to be the American response to the British Birdwatching Fair. This includes a focus on conservation through The Expo Conservation Fund which has, to date, raised over $19,000 for conservation. Tickets to get in are only $10 and considering this gets you workshops, field trips, access to the exhibition floor, book signings, keynote presentations, and everything else the Expo has to offer! That’s a great deal! Meredith Mann will be covering the Expo for 10,000 Birds, going through on Sunday, and if I can possibly get myself to Philadelphia that weekend I will make sure to do so. Want to learn more? Check out the video below. Hope to see you at the Expo! Anyone who’s coming and wants Philly-area tips and recommendations (hint: the best cheesesteak is not downtown!) just post a comment here!